LASIK surgery has proven to be one of the most effective and most popular options available for reducing dependence on corrective lenses. Yet there have been several major advances in LASIK technology that have improved the LASIK experience for patients while also making LASIK surgery more efficient for the surgeon. We're speaking of custom LASIK, one of the many remarkable advances in laser vision correction today. Since many people may not be familiar with custom LASIK and how it works, the team at our Macomb County LASIK surgery center would like to look at it in some detail right now. Custom LASIK refers to the use of special digital mapping technology in order to enhance the LASIK surgery procedure. Technically all LASIK surgeries are customized to the patient, but by using this technology, LASIK surgeons can get an exact picture of a patient's cornea and any imperfections of the cornea that affect the vision. How is custom LASIK different from traditional LASIK? Prior to the LASIK surgery being performed, our Macomb County LASIK surgeon takes a digital scan of the patient's eyes. This creates a three-dimensional digital image in a computer. By identifying major and minor problems with corneal shape, custom LASIK is able to correct both higher order aberrations as well as lower order aberrations. Lower order aberrations are better known as refractive errors. These are the common vision problems that are easily addressed through corrective lenses and traditional LASIK surgery. You may know these better by the names myopia (nearsightedness), hyperopia (farsightedness), and astigmatism. Higher order aberrations are vision problems that are not classified as refractive errors, such as glare, halos, poor night vision, poor contrast sensitivity, and so on. Only custom LASIK surgery is able to correct both lower order aberrations and higher order aberrations. Essentially, custom LASIK gives patients the best possible LASIK experience. By addressing both higher order aberrations and lower order aberrations, a patient have sharper and clearer vision than could be achieved through traditional LASIK. In addition, the laser during custom LASIK surgery is completely computer guided, meaning that there is no chance of human error during the procedure. 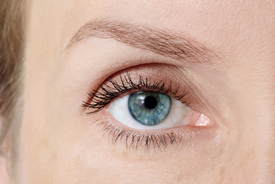 Is custom LASIK the right option for you? There are a number of different factors that determine a person's candidacy for LASIK, including past instances of dry eye syndrome, stability of prescription/eyesight, thinness/health of the corneas, age, and general health of the eyes. In some cases, LASIK will not be an ideal option. For our patients in Macomb County, implantable contact lenses are a possible treatment alternative. We can discuss this in greater detail during your visit to our vision correction center. If you would like more information about custom LASIK and other treatment options that can enhance your vision, be sure to contact our Macomb County laser vision correction center today. Our entire team looks forward to helping you see clearly again without the need for corrective lenses.